Nobel laureate Dr. Arthur McDonald, professor emeritus at Queen’s University, and the Sudbury Neutrino Observatory (SNO) received the 2016 Breakthrough Prize in Fundamental Physics “for the fundamental discovery and exploration of neutrino oscillations, revealing a new frontier beyond, and possibly far beyond, the standard model of particle physics.” The award was one of five given to experiments investigating neutrino oscillation. 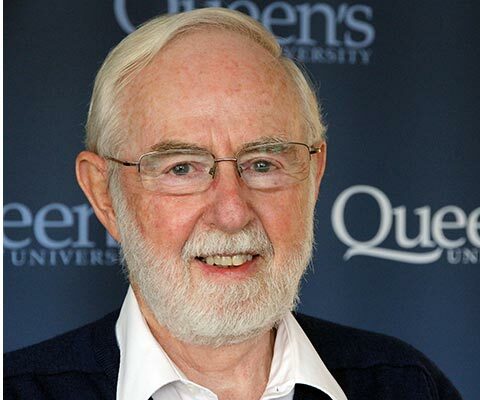 In recognition for his research into neutrinos, Dr. McDonald was awarded the 2015 Nobel Prize in physics alongside the University of Tokyo’s Dr. Takaaki Kajita. Dr. McDonald is the director of the SNO Collaboration that began researching the mysteries of neutrinos at the Sudbury site in 1984. The cavern that housed SNO has since expanded and morphed into a multipurpose underground physics facility called SNOLAB. Sometimes called “ghost particles,” neutrinos are fundamental to the make-up of the universe, but relatively little has been known about them. Dr. McDonald’s team discovered the transformation of electron-type neutrinos to other types en route from the core of the sun to the Earth — a finding that expands our understanding of the sun and exhibits neutrino properties that go beyond the predictions of the Standard Model of Elementary Particles. Dr. McDonald earned his PhD in 1969 from the California Institute of Technology and began his career at Queen’s University in 1989. He has been a professor emeritus since 2013, and holds the university’s Gordon and Patricia Gray Chair in Particle Astrophysics. 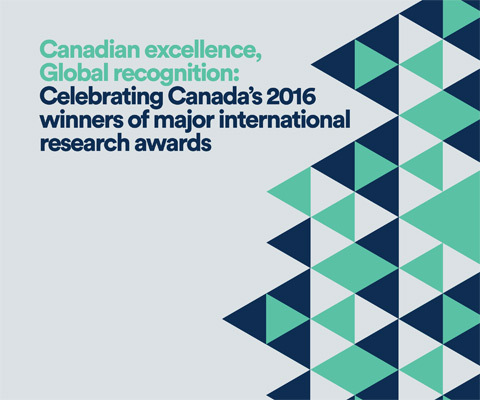 *Arthur B. McDonald is one of 12 Canadian winners of major international research awards in 2016 featured in the publication Canadian excellence, Global recognition: Celebrating Canada’s 2016 winners of major international research awards.